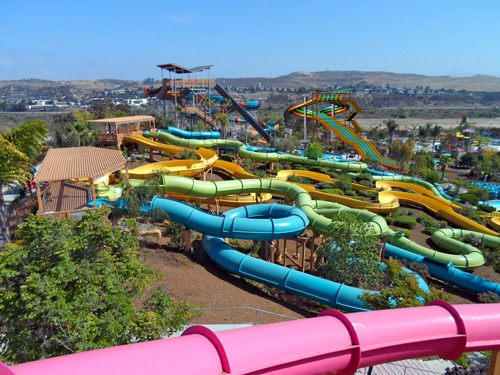 A lushly landscaped water park offering rides and experiences ranging from serene to extreme, Aquatica San Diego offers an ideal attraction for guests of many ages. 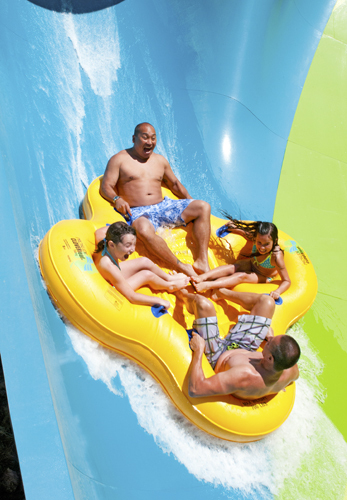 The attraction features high-speed thrill slides and other fun rides, such as Taumata Racer, HooRoo Run, and Kiwi Curl; beachside resort amenities; up-close animal experiences; one of Southern California’s largest wave pools; and more. Bring sunscreen, towel and swimsuit. 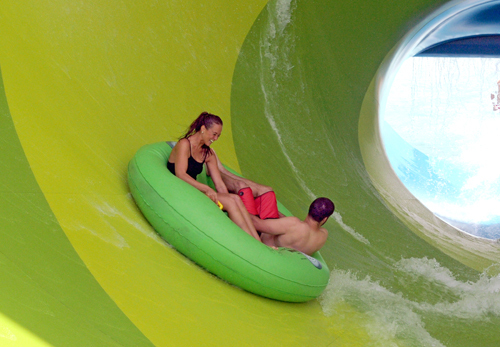 Features 1,250-foot-long lazy river and 7 slide rides. 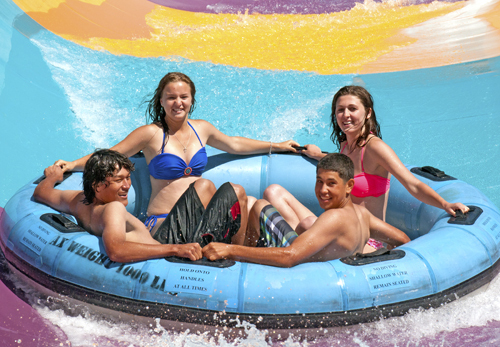 Get ready for summer at Aquatica SeaWorld’s Waterpark™, where the South Seas meets Southern California in this whimsical, tropical oasis. 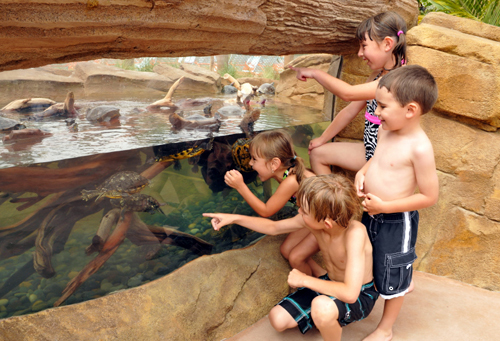 Discover your inner Aquatics with waves from serene to extreme, up-close animal experiences, private cabanas, and attractions for the whole family. 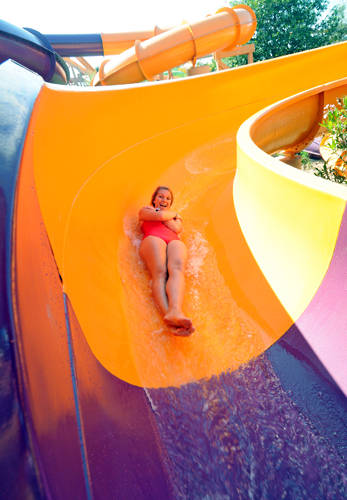 If you’re looking for the biggest thrill in the park, make a splash at Taumata Racer® — a high-speed racing water slide at Aquatica SeaWorld San Diego will zoom riders down a 375-foot slide, around a 180-degree swooping turn, and in and out of tunnels before racing them across the finish line. 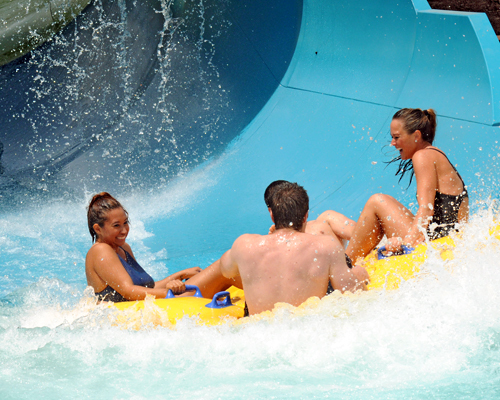 If fast isn't your speed, Loggerhead lane is a calm, 1,250-foot long lazy river through colorful rain forest featuring lush landscapes and tropical waterfalls to keep you gliding along peacefully. 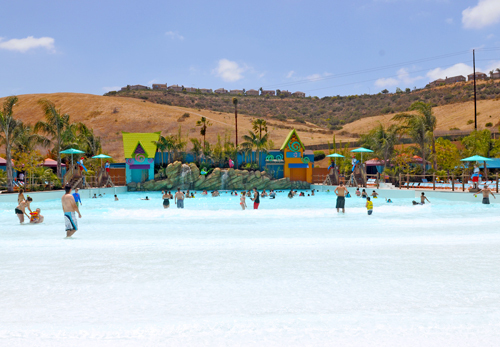 Aquatica San Diego opens May 24th for the 2019 season. 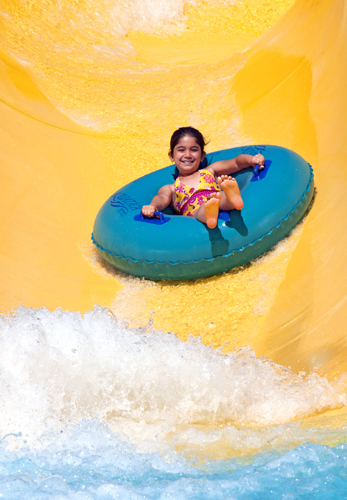 All slides, rides, pools and beach are included with park admission. Food, merchandise, Cabanas, lockers are optional and available at an additional cost. Capacity is limited. What are the food and beverage policies? Hard and soft coolers, glass containers, food such as sandwiches, meals, snacks, etc., and flavored drinks may not be taken into the park. Water bottles may be taken into the park. For your convenience, picnic areas are available outside the park adjacent to the entrance/exit plaza. If leaving the park to enjoy your food, please have your hand stamped for re-admittance. Guests with medical diets or baby formula should speak with a park representative for assistance before entering the park. 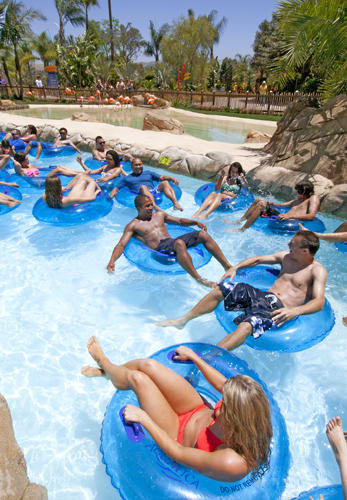 What is Aquatica’s pet policy? Pets are not allowed at the park. However, service animals are welcome at Aquatica. Service animals are welcome at Aquatica San Diego. The following guidelines will help you enjoy your visit with your service animal. Service Animals are limited to dogs and miniature horses that have been individually trained to do work or perform task for the benefit of an individual with a disability. Service Animals are NOT permitted on any attraction at Aquatica San Diego. All Day Locker rentals are available and conveniently located at the park entrance and directly in front of Kiwi Curl. Locker prices are $14, $17, $20. Guests will receive a $5 voucher, good at any Culinary or Merchandise location upon returning the key on day of rental. 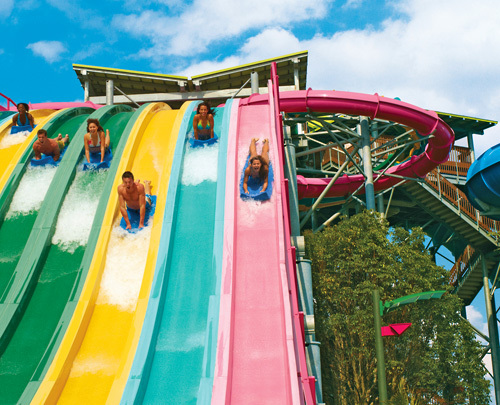 Aquatica remains open during inclement weather, although some of the parks rides and attractions may be temporarily affected. Refunds and rain checks will not be issued due to inclement weather. What is Aquatica's smoking policy? For the convenience of guests who wish to smoke, Aquatica San Diego provides a designated Smoking Area near Big Surf Shores. Please refer to the park map for directions to this area. What are some ride height requirements?